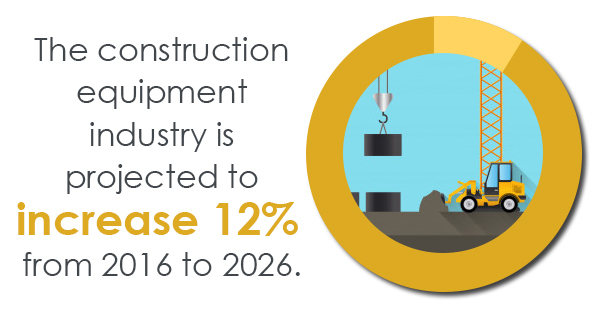 The construction equipment industry is projected to increase by 12% from 2016 to 2026. When it comes to large-scale excavation projects, Bobcat machines are extremely effective at performing these tasks efficiently. If you are purchasing a Bobcat in the near future or own a few machines already, it's important to know how to properly care for these pieces of equipment. If your Bobcat isn't functioning properly, you'll not only end up having to pay a significant amount of money down the line due to expensive repairs and part replacement, but you won't be performing high-quality construction jobs, as well. For Bobcat mini excavators, gear oil for its final drive motor is perhaps the most important aspect that you need to stay on top of. Gear oil for a final drive motor should be checked about every 100 hours of operation (even sooner if you are performing constant high-power excavating tasks) and should be changed at least once a year or every 200 hours, whichever comes first. If you are unsure about how to change or even inspect your Bobcat's gear oil, you should take it to a professional construction equipment repair shop in order to ensure that each of your machines is ready for another busy workload schedule. If you let your machine's gear oil get too low or neglect to change it completely, you'll begin to see significant damage to both the gears and the bearings inside the gear hub. This damage will look bad, but it will also cost you a lot of money if you don't act quickly. If the damage continues, there could soon be a leak inside the gear hub, which could subsequently disable the machine’s drive train. If you are hoping to learn more about how to better care for Bobcat mini-excavators' final drive motors, as well as purchase high-quality final drive travel motors -- there is only one place that you should be visiting.